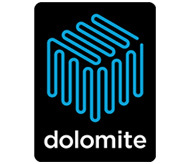 Dolomite is the world leader in design and manufacture of high quality innovative microfluidic products for a wide range of applications, including Biology, Microencapsulation, Drug discovery, Nanoparticle Synthesis, Food and Cosmetics and Academia. We offer modular systems tailored for microfluidic applications as well as a full range of microfluidic modules and components such as pumps, chips, connectors, temperature controllers, sensors, accessories and software for analysis or automation. We are driven to constantly innovate and have developed instruments for parallel large-scale droplet production, fast prototyping of sealed microfluidic device using 3D printing, etc.